Species and habitats vary from golden-winged warblers and gopher tortoises to Georgia aster wildflowers and longleaf pine savannas. The Wildlife Action Plan uses the best available data to provide a comprehensive, adaptable assessment of conservation needs and the best ways to address them. Georgia's plan lists 349 animal and 290 plant species as high priorities for conservation. The 150 conservation actions recommended focus efforts where they’re most needed and most effective. Congress requires an approved Wildlife Action Plan for state agencies to receive State Wildlife Grants, the main federal funding source for states to conserve nongame—animals not legally fished for or hunted. DNR’s Wildlife Conservation Section leads the planning process. But this is not a DNR plan. Georgia’s Wildlife Action Plan was created in 2005 and revised in 2015 by more than 100 partners and stakeholders, from agencies and academic institutions to companies and private landowners. Conservation partners are critical to updating the plan and putting its recommendations into practice. Acquisition of more than 105,000 acres of high-priority lands for conservation and recreation. Another 290,000-plus acres protected through conservation partners and easements. Prescribed fire, invasive species control and native plant restoration that enhanced key habitats. 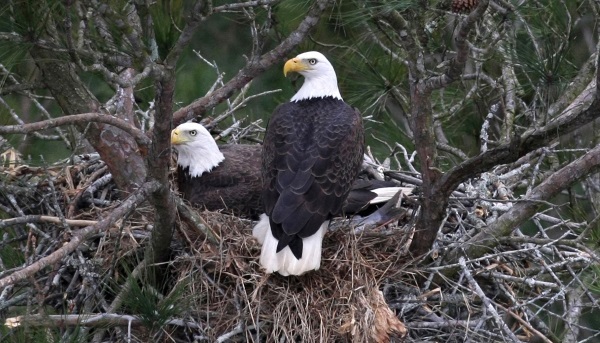 Surveys and monitoring that helped rare amphibians, bats, plants and birds, including the resurgence of bald eagles in Georgia. 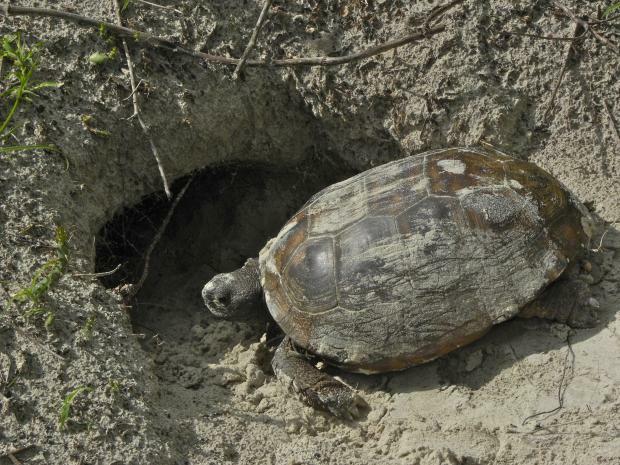 Benefits to recovering federally listed species such as loggerhead sea turtles. Landowner technical assistance programs and environmental education for thousands of Georgia youth and adults. 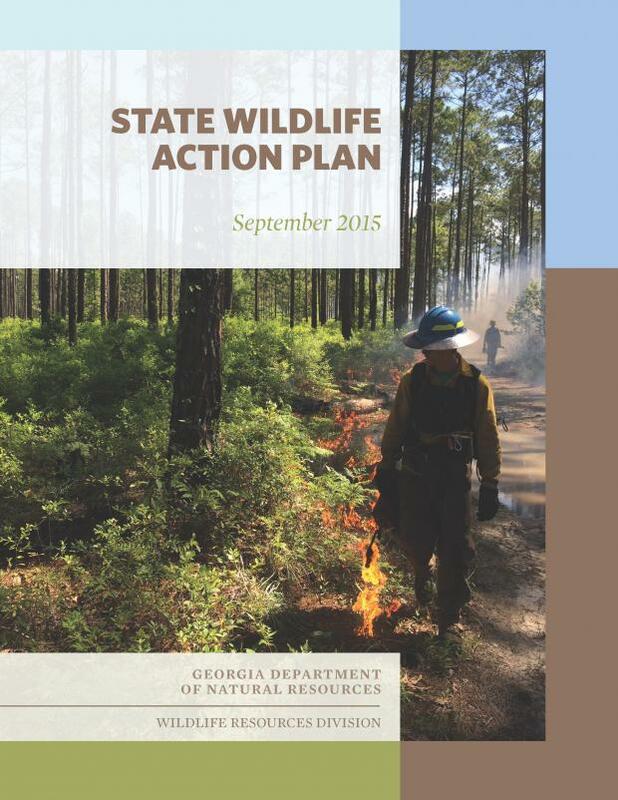 Here's the latest version of Georgia's State Wildlife Action Plan, revised in 2015 and approved by the U.S. Fish and Wildlife Service in September 2016. The 2015 revision of Georgia’s State Wildlife Action Plan provided an opportunity to update and improve the 2005 high priority waters dataset, which is now obsolete. We chose United States Geological Survey Hydrologic Unit Code 10 digit watersheds (hereafter HUC 10) for the identification of high priority watersheds, because it provides a consistent and practical scale for watershed-level conservation. Based on species occurrence data, land cover, and expert knowledge, 165 high priority watersheds were selected to protect the best known populations of 168 high priority aquatic species. These watersheds were then prioritized by calculating a Global Significance Score (GSS), which was based upon the number of species identified in each watershed as well as the global rarity of each species. An additional 56 watersheds were designated as “significant” high priority watersheds, but were not further prioritized. Significant watersheds contained important coastal habitats, migratory corridors for anadromous species, recent occurrences or critical habitat for federally listed species, or occurred in a region of the state where high priority watersheds were poorly represented. As part of the SWAP revision, The U.S. Fish and Wildlife Service carried out a GIS assessment of all of Georgia’s HUC 10 watersheds to characterize their degree of protection, existing condition, recent land cover trends, and future threats. The maps and data generated for this assessment can help identify conservation actions within high priority watersheds. You can download a GIS shapefile of SWAP High Priority Watersheds. The following map classes are included in the shapefile and are important for grouping watersheds into different categories of priority. Map Class 4 = Watershed is high priority, but is considered significant for some other reason as described in the Aquatic Habitat Technical Team Report. You can download an excel file that includes results from the GIS assessment of Georgia’s HUC 10 watersheds. For more information on High Priority watersheds and the GIS assessment, please review the Aquatic Habitat Technical Team Report (Appendix F) from the 2015 SWAP Plan. To safeguard our state’s natural heritage, DNR developed its first State Wildlife Action Plan in 2005. This management plan outlines the steps needed to proactively conserve wildlife and habitats before they become rarer and more costly to protect. Funding comes through a State Wildlife Grant, with matching funds from Georgia’s Nongame Wildlife Conservation Fund. Congress requires a comprehensive reviews of Wildlife Action Plans at least every 10 years to incorporate new information and changing conditions. DNR worked closely with partner agencies, organizations, academic institutions, land managers and other stakeholders to review and revise the plan. The draft revision was made available for public comment in summer 2015 through July 15, including options for online comments, through email and at three forums held across the state July 1, 7 and 8. Following further changes, the draft plan was submitted that September to the U.S. Fish and Wildlife Service for review. The federal agency approved it in September 2016. Although Georgia is one of the most biologically diverse states in the nation, approximately 320 of our native species are state or federally protected. The Wildlife Action Plan identifies 290 plant and 349 animal species as high priorities for conservation. And more than 100 species occurring within Georgia are petitioned for listing under the federal Endangered Species Act. The plan prioritizes 150 actions to help recover and conserve these species and their habitats. High-priority species in the plan are those that rank highest for recommended research or other conservation-related measures. Also, while focused on animals not fished for or hunted, rare plants and natural habitats, the Wildlife Action Plan also addresses controlling invasives such as feral hogs and coyotes, and researching, restoring and acquiring habitats that benefit nongame and game species, such as northern bobwhites and middle Georgia’s black bears. But the plan does not involve hunting, fishing or trapping regulations. Since the original version of Georgia’s Wildlife Action Plan in 2005, work such as prescribed burning, invasive species control, and native vegetation restoration have enhanced high-priority habitats on public and private conservation lands. Data gathered from survey and monitoring efforts has helped manage populations of amphibians, coastal shorebirds, sea turtles, and rare plants. Recovery efforts for federally-listed species, technical assistance programs for private landowners, and environmental education have all benefited from the resources and direction provided through the Wildlife Action Plan. Do you enjoy hearing the melodies of songbirds, watching the antics of wildlife, or photographing delicate wildflowers? As much as these natural resources enrich our lives aesthetically, they also are linked to us ecologically, socially and economically. Our quality of life is affected by how well we conserve wildlife and the places they call home. By helping guide conservation efforts statewide, the Wildlife Action Plan works to ensure that the wildlife and wild places Georgians enjoy are conserved now and for future generations. Here are answers to a few questions about Georgia’s State Wildlife Action Plan. For more, email matt.elliott@dnr.ga.gov. It is a statewide strategy to conserve populations of Georgia's native wildlife species and the natural habitats they need before these plants, animals and places become rarer and more costly to conserve or restore. Often called the Wildlife Action Plan or known by the abbreviation SWAP, the plan is officially the Comprehensive Wildlife Conservation Strategy. Although DNR leads the planning process, this is a strategy created by conservation partners and stakeholders, including wildlife agencies and organizations, academic institutions, companies, landowners and the public. Partners are critical not only to updating the plan, but to putting its conservation measures into practice. Why does Georgia need a Wildlife Action Plan? The plan mines the best available data to provide a comprehensive, adaptable assessment of wildlife conservation needs in Georgia, and ways to address those needs. While those lists are long—349 animal and 290 plant species are high priorities for conservation, and 150 actions recommended—the Wildlife Action Plan is a guide that helps focus conservation efforts where they’re most needed and most effective. An approved plan also is required by Congress for DNR and wildlife agencies in other states to receive State Wildlife Grants. This grants program is the main federal funding source for states to conserve nongame, or animals not legally fished for or hunted. Georgia receives about $1.25 million annually in State Wildlife Grants. Why was our Wildlife Action Plan revised? A comprehensive review of wildlife plans is required by Congress at least once every 10 years, to include new information and changing conditions. Georgia developed its initial Wildlife Action Plan in 2005. What did the revision involve? From 2013 through 2015, the revision involved DNR employees, staff from private and public conservation organizations, and land managers and owners in Georgia—representatives from more than 100 groups in all. An advisory committee composed of agency, organization and land management group representatives provided oversight. Technical teams addressed specific components of the revised plan, from birds and mammals to habitat restoration and database enhancements. The draft revision underwent a public review period during summer 2015 and was approved by the U.S. Fish and Wildlife Service in September 2016. What was accomplished through the initial plan? DNR acquired more than 105,000 acres of high-priority lands for wildlife conservation and public recreation. Conservation partners and easements have protected another 290,000-plus acres. Prescribed fire, invasive species control and native plant restoration have enhanced key habitats. 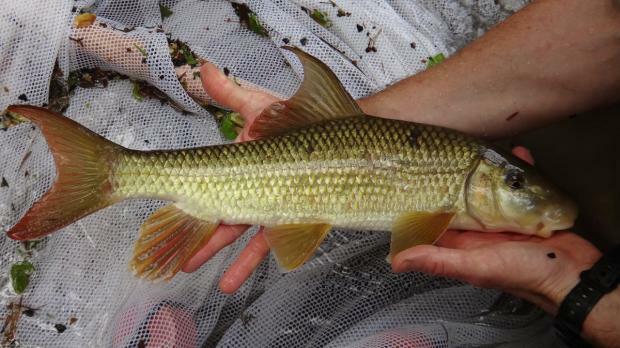 Surveys and monitoring have helped manage rare amphibians, birds, bats, sea turtles and plants. The plan’s focus and direction has benefited recovery efforts for federally listed species such as wood storks, as well as landowner technical assistance programs and environmental education. When will the plan be revised again? The second review and revision process will begin by 2023 and be completed no later than August 2025. How was public comment part of the plan process, and why? The draft of the revised plan was provided for public comment from June through July 15, 2015. Options to comment were made available online, through email and at three forums held across the state July 1 (Covington), July (Perry) and July 8 (Brunswick), with notice provided to media and on social media. SWAP technical teams then review the comments applicable to their areas. Feedback from the public is vital. The Wildlife Action Plan involves conserving wildlife that millions of Georgians enjoy and which strengthen our state economy. Wildlife-watching had a $1.9 billion impact on Georgia's economy in 2011, according to a U.S. Fish and Wildlife Service. Public comments help shape the SWAP, ensuring that these natural resources are conserved now and for future generations. For example, comments by landowners and others interested in managing forestlands are important in part because the Wildlife Action Plan provides key information regarding species of concern and conserving biodiversity. In turn, these topics influence forestry management. The Sustainable Forestry Initiative 2015-2019 Standards and Rules (www.sfiprogram.org/sfi-standard) references state wildlife action plans as sources involving both conserving biodiversity and species of concern. What are high-priority species or habitats? These are species or natural habitats that rank highest for recommended research or other conservation-related measures. For some, it may be because of their rarity; for others, it may be because little is known about them or because they face daunting threats, such as habitat loss or fragmentation. High-priority species were assessed by six technical teams focused on these groups: birds, amphibians and reptiles, mammals, fishes and aquatic invertebrates, terrestrial invertebrates, and plants. High-priority does not mean protected, though some species listed as high priority may be protected through state or federal laws or regulations. Does the Wildlife Action Plan establish regulations or other controls? No. Although regulations, policies or legislation may be recommended, any changes would go through the usual procedures for each. The plan's actions are recommendations, which are not prescriptive or regulatory. Does the plan involve game animals? While focused on animals not fished for or hunted, rare plants and natural habitats, the Wildlife Action Plan does address controlling some invasive species that are hunted, such as feral hogs and coyotes, and researching, restoring and acquiring habitats that benefit nongame and game species, such as northern bobwhites and middle Georgia’s black bears. However, the plan does not address hunting, fishing or trapping regulations. How does the plan address climate change? The 2015 revision considers climate change an emerging issue that affects Georgia wildlife and habitats. While understanding and addressing climate-related impacts is a process inherent with uncertainty, the plan emphasizes the fact that climate change is an important landscape-scale factor that should be taken into consideration in conservation planning and implementation. Developed involving representatives of more than 100 organizations, the Wildlife Action Plan identifies high-priority conservation actions for climate-change adaptation (or coping with climate changes by trying to moderate negative impacts and maximize positive ones). Established practices to conserve habitat quality and connectivity are emphasized, such as maintaining vegetated buffers along streams to benefit aquatic species and factoring in sea-level rise and habitat shifts into management plans for coastal lands. Partnership efforts related to the issue are also noted, including ongoing and proposed research and conservation projects.